Right now I am thinking about Mary Oliver, our icon of writing, our spiritual guide, our reason to be honest. Life-long friends lived next door to her in Provincetown. Everything you might imagine about her is true. Very quiet. Always looking as if she were thinking about her next poem. 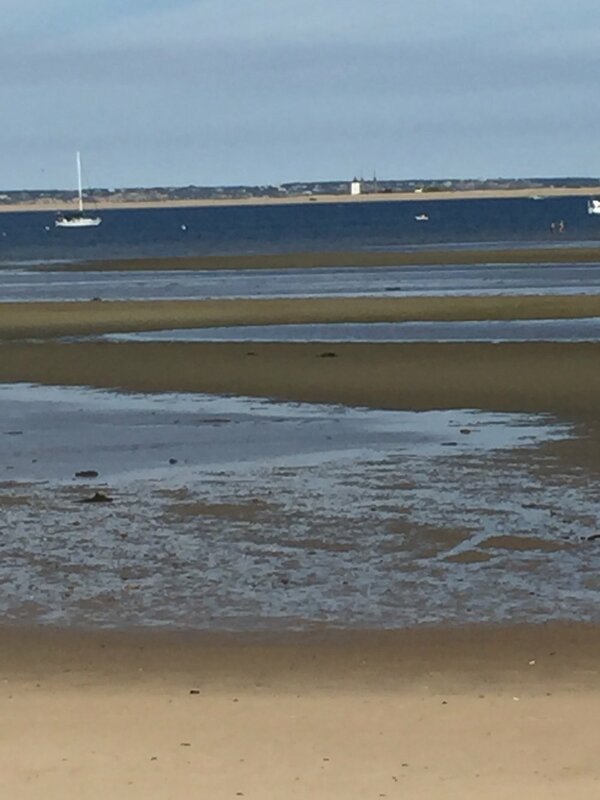 When the tide went out on Cape Cod Bay, she would venture out onto the mud flats with her Havanese dog, Ricky. Barefoot, chinos rolled up at the ankles, often a sweatshirt even in the summer. She appeared to float atop the brown, wet sand. My daughter fell in love with Ricky, as we, too, were owned by a Havanese. Bouncing down the beach toward the irresistible pull of a cute little black and white canine, my daughter asked Ms. Oliver (I could not think of her as “Mary”) if she could play with the dog. Ms. Oliver smiled as my daughter and Ricky ran in circles through the seaweed and hermit crabs. If we were on the porch, which we almost always were when Ms. Oliver and Ricky went for their walk, I made my daughter wait for their return before she ran down to greet them. Then I would watch my daughter with Mary Oliver and her beloved dog Ricky on the beach. Pam James is a writer who loves living in Richmond.